Place orders before midnight on Friday to receive meals the following Monday! Healthy, organic & gluten-free meals delivered fresh to you! Health conscious, innovative chefs meet motivated nutritionist to bring you Michaela’s Meals. Our meal prep services provide you with energizing, nutrient packed and wellness inspiring meals that taste delicious. Experience the better side of eating and enjoy meal prep delivery in San Diego. You can even customize your meals to be PALEO, KETO or even VEGETARIAN. Whatever you need in San Diego, we will prepare! GET A MICHAELA’S MEALS GIFT CARD! Our family-friendly meal prep service delivers meals that are ORGANIC and GLUTEN FREE! 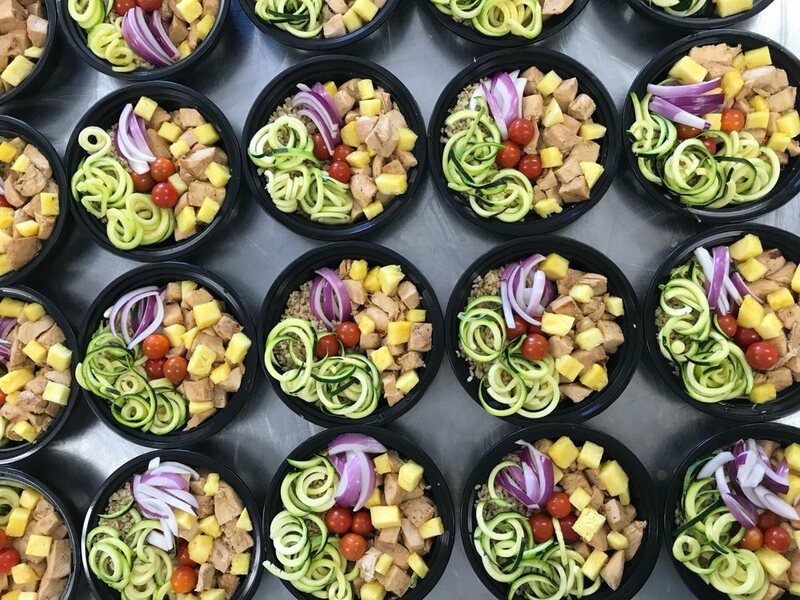 Our prepared meals are healthy, portioned and customizable! Get the proper nutrition and even lose weight! First time clients use code 15offmm to get 15% off your entire order! We offer a worldly menu crafted by health-conscious chefs. We appreciate your honest reviews! "Michaela's Meals are perfect for my busy and healthy lifestyle! They taste amazing and allow me to always eat clean no matter what my schedule is like." "I highly recommend Michaela's Meals! they are always fresh and flavorful and of great quality, The portions are perfect, I always feel like I got my moneys worth. I like them because it keeps me in shape and helps to save money on eating out." "I've been using Michaela's Meals to help me maintain a lean physique. I love not having to portion and prepare my own meals. Using this service has saved me a lot of time and hassle. I will be a customer for life." I have tried so many other meal plans out there. Michaela's meals are by far the best! Quality, taste, service. Eating clean has never been easier! The portions are perfect & keep me satisfied all day. Great for the busy professional! She's got a customer for life. Learn what you can do to help too! Pick-up from one of our locations or have your meals delivered right to your door !